Fruit tastes good and is good for you. My favorite fruits are apples, bananas, red popsicles, blueberries, and pudding. Toddlers, eat your fruit but don't compromise your values. This post isn't for children people who can guess the obvious. It's for parents who struggle with knowing which fruits are appropriate for eating and which ones should go into the trash. 1) Does it look like it was grown in an enchanted orchard or under a freeway? 2) Does this fruit look like it has come into direct contact with a rare strain of jungle bacteria causing discoloration or unexplained spots/bumps? 3) Is this fruit small enough to be held comfortable in a toddler-sized hand or it is 1 million pounds? 4) Is this fruit wet? Once fruit has passed its initial inspection, please move on to the next set criteria. Use your x-ray vision to determine if apple will have brown spots inside. Apples with inside sicknesses can be fed to goats and horses but not children. Being remarkably cheap (don't use words like "frugal" to describe your neurosis) and attempting to remove the disgusting with a knife is unacceptable. Did this apple not cost twenty cents? This should go without saying but the ENTIRE piece of fruit has been compromised. Bananas are a tricky bunch. <-- did you see what I did there? Bunch. Bunch of bananas. They come in bunches. One minute you need a banana. Crave one. Feel like your life won't be the same if you can't enjoy the smooth sweetness of this tropical fruit. So often though, by the time an adult has gotten off of Facebook and peeled one for you, the feeling has already passed. 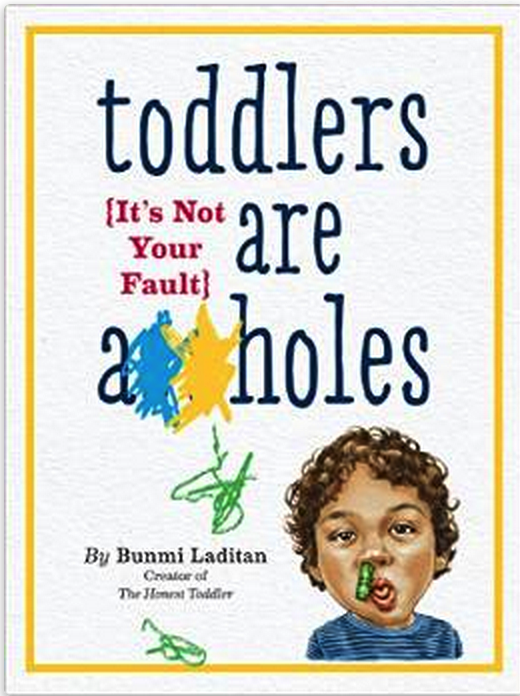 This isn't your toddler's fault. Don't make a big deal. Just freeze the banana for a smoothie you will never make or eat it yourself. Ask toddler if it is OK if you peel banana. When given the green light, only peel the banana 1/3 way down so it doesn't break it half and fall on the floor. Why should I even have to say that. If there are rot patches on the banana, do not hand to toddler with rot patch facing away like a sneak. Find another banana. If there are no more bananas, OMG. Buy only bananas without strings on the inside. Read the label. Toddlers are small people with small stomachs. Usually 1-1.5 bites are enough. If toddler is preparing for battle, 2-3 whole bananas will be consumed rapidly. Again, don't make a big deal. Wash, dry and make sure they're all uniform. Berries are supposed to be sweet so if you got a bad batch, shame on you. This fruit comes in small containers and should always be chocolate. Serve with my favorite spoon. Always have more cause you can't eat just one. Not to be confused with yellow or orange popsicles and definitely not purple posicles, these fruits are undeniably delicious. Keep these in the freezer and don't be stingy. Fruit makes a wonderful breakfast and red popsicles are no exception. They taste best when enjoyed in front of shows. No napkin. Sometimes fruit is great cut up, sometimes cutting removes the flavor. Just ASK. Now you know how to prepare fruit. Try it today! Stickers: If the fruit is not for you, the sticker isn't either. Greed.